We are delighted that guests are now able to use our largest room as a lounge and relaxation area. 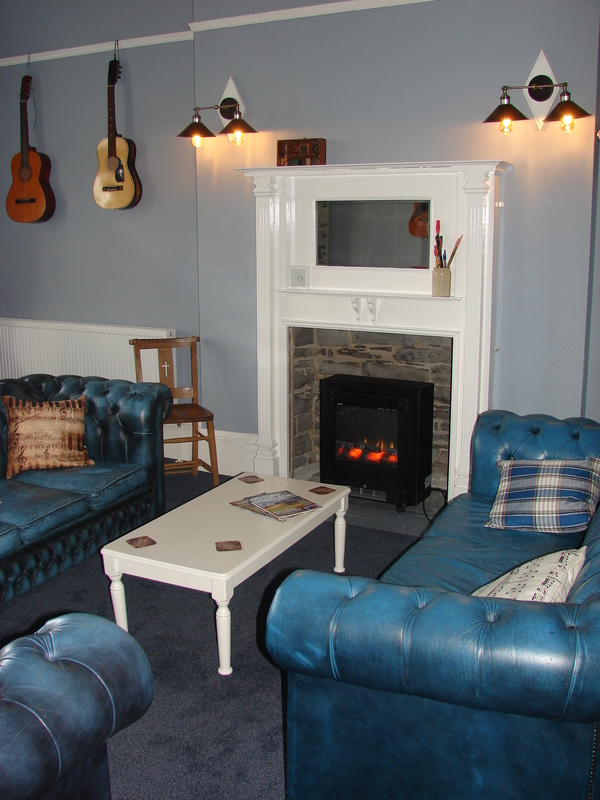 Over the winter we have opened up the fireplace and installed luxurious chesterfield sofas to provide a perfect, but atmospheric relaxation space. 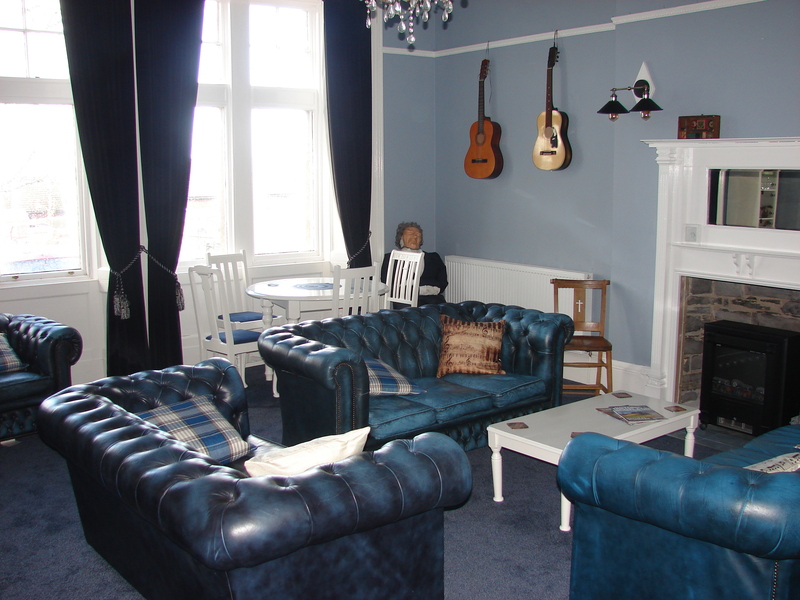 Themed as a music room, there is a modern, good quality piano and an assortment of musical instruments. A few are purely decorative, but most are in good, playable condition. This room is still equipped with a full lighting rig and can be configured for small performances and similar events.